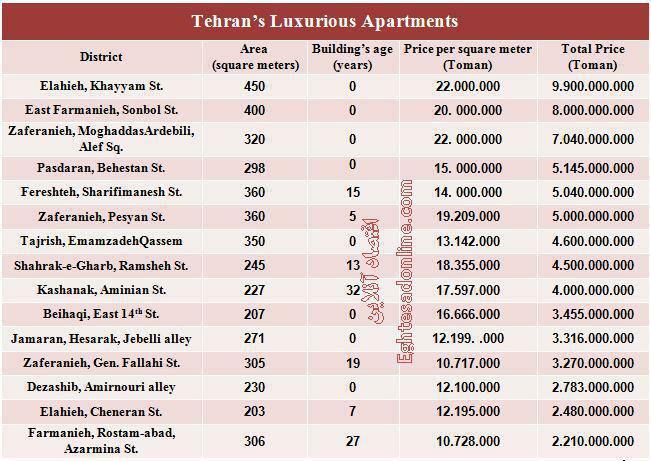 EghtesadOnline: What follows is the table of deals for fifteen costly luxurious apartments in northern Tehran (regions 1 to 3) fulfilled by the end of Aban 1395 in the Iranian calendar (20th Nov. 2016). Despite the decrease in turnover, the commencement of cold season in Tehran’s housing market and lack of demand for costly apartments, the city’s luxurious apartment units are still traded at high prices. It is needed to note that, disregarding the building’s age, the relevant apartments enjoy the best structural and surrounding facilities including in-the-building pool, sauna, Jacuzzi, several parking lots, body-building gym, conference hall, etc. It can even be said that the newly-built units enjoy an aristocratic structure, as well. 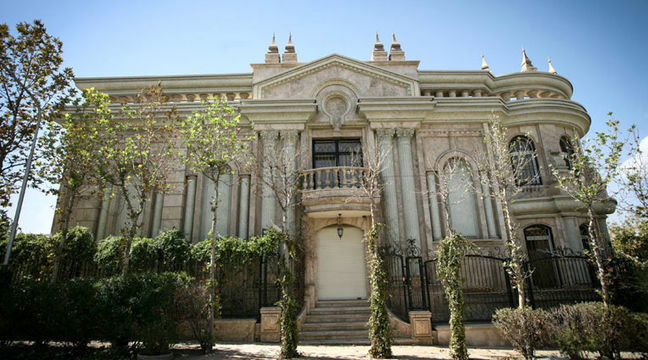 The relevant statistics have been taken form housing market’s information system of Iran, according to which the least expensive luxurious apartment in Aban 1395, located in Rostam-abad, Farmanieh, has been sold at the total price of near $ 680,000 (at the market exchange rate) and the most expensive one, located in Khayyam St., Elahieh, at about three million dollars. Also, the price per square meter for newly-built luxurious apartments traded in Aban 1395 ranges from $ 3,689 to 6,763 in the luxurious Elahieh district.